This pattern a pattern block. Not a completed pattern. You can use this block to create your own stylish designs, by manipulating the pattern block as you please to create a range of designs. 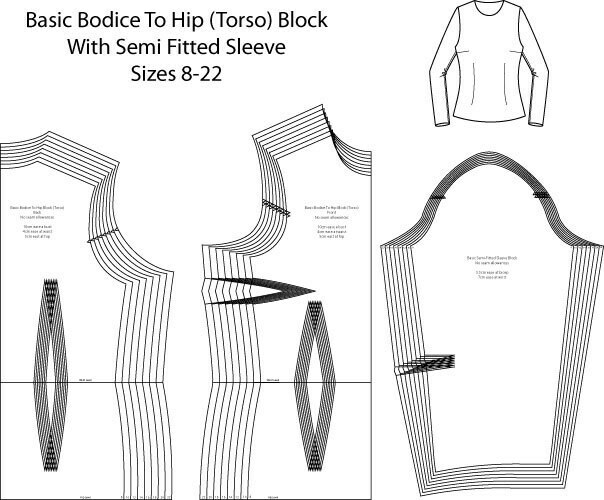 The block is a basic bodice extended to the hip level. Featuring a side bust dart and single waist dart at the front. The back also features a single waist dart. 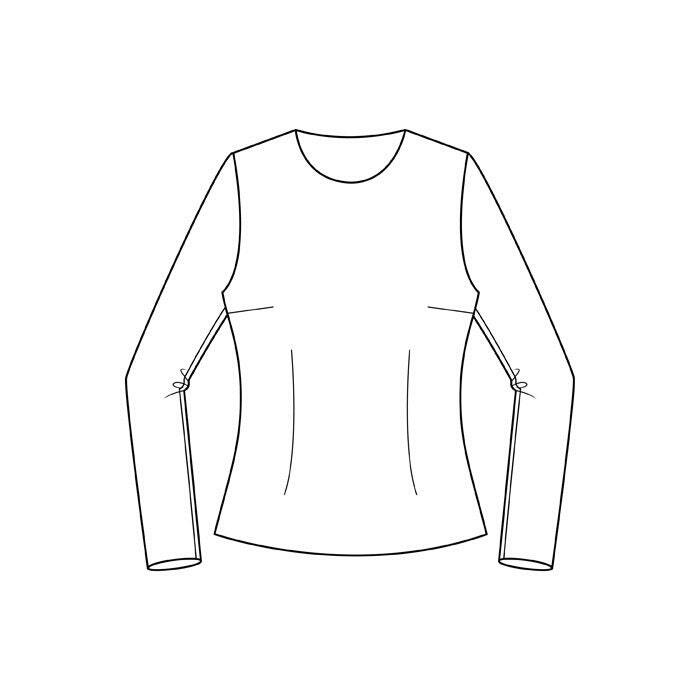 The sleeve to fit this pattern is included, it's a semi-fitted sleeve with a small elbow dart. There are no seam or hem allowances in the pattern. The ease included in the pattern is 10cm at the bust, 4cm at the waist and 5cm at the hip. The sleeve ease is 5.5cm at the bicep and 7cm at the wrist. The patterns included are size 8, 10, 12, 14, 16, 18, 20 and 22 (see size charts), so please check the measurements carefully. These are FULL SIZE patterns (this is an all in one/multi sized pattern so you can adjust the pattern should you be an in between size, and cut the size you need). The digital versions of the patterns are readable on all computers, you will need to have pdf reading software installed on your PC to view the files. There are many free packages available, a popular one can be found on www.adobe.com, although you may wish to find one which suits you, Microsoft also offer free pdf reading software.